The Danish veterinary and food board believes it has traced an outbreak of listeriosis from three years ago to its source. Seven people were hospitalized two of whom died. The agency blames the incident on fish imported from Estonian company M.V.Wool. Representative of Danish medical lab Statens Serum Institute Luise Müller said the first case of listeriosis was diagnosed in December of 2016, while the following five cases happened in 2017, one in 2018 and two more in 2019. All those affected had eaten smoked fish imported from Estonia. The Estonian veterinary and food board said the fish was produced by M.V.Wool. 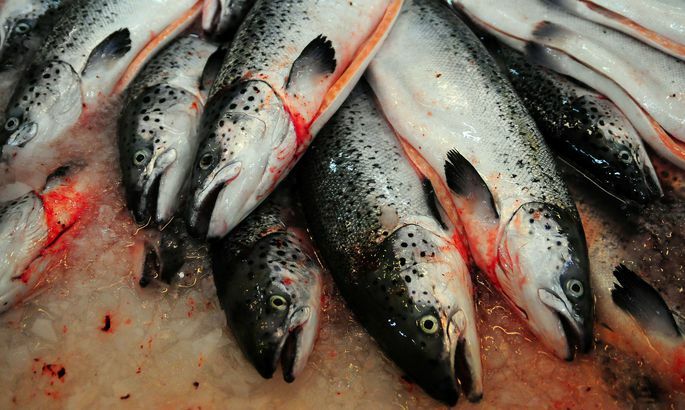 Head of crisis management at the Danish watchdog Nikolas Kühn Hove said that an inspection from September of 2018 showed that the Estonian processor’s smoked trout products showed a listeria contamination of 40-570 units, while the maximum permitted count is 100 units. “The sample subtype revealed a correlation between the outbreak in Denmark and Listeria monocytogenes bacteria in the fish,” Kühn Hove added. M.V.Wool’s products were tested again in March of this year, whereas 49 samples out of 65 were found positive for the bacteria. “In several of the samples, we encountered the same subtype of Listeria monocytogenes we found in patients in Denmark,” he said. CEO of M.V.Wool Mati Vetevool said their products correspond to EU requirements. “In a situation where permitted levels of listeria fall between 10 and 100 units, our products have a content of fewer than 10 units. Goods we send all over Europe are delivered in refrigerated trucks that are tested for interruptions in the cold chain. The problem can only be with the latter. We cannot say how the goods are handled once they leave our hands. “In late February, 65 samples were taken from 13 batches of M.V.Wool products, with results falling well below the permitted level of 100 units. 17 samples showed a listeria count of zero, while it remained below 10 in the remaining 48 samples – whereas the product would be hazardous from a count of 1,000 units,” Vetevool added. The CEO assured their production process is of high quality and that the goods reach clients in refrigerated trucks that ensure the proper temperature at either 0-4 degrees or -18 degrees in case of refrigeration. “We cannot control the supply chain after that; we can only check the reseller’s warehouse,” Vetevool said. The Danish watchdog has demanded a product recall. “Of course, we do not agree. We might have to do it to maintain our relationship. But they have no reason to demand that,” Vetevool said. “Investigations are underway in Estonia, they will take a few months,” he added. Reseller of Estonian smoked fish in Denmark Food With You has sent their clients a message in which it urges people to return smoked trout in 200-gram packages. Asked whether the Danish agency is convinced the problem is in Estonia and not elsewhere, Nikolas Kühn Hove said yes. “The products are made and refrigerated in Estonia and shipped to Denmark. The Danish reseller thaws and labels the products and sells them to shops. Inspections found no problem with handling of the product in Denmark,” Kühn Hove explained. The Estonian Veterinary and Food Board (VTA) said information of a listeriosis outbreak allegedly caused by an Estonian processor in five EU countries reached them on March 8. “Analysis results tie the outbreak to products of Estonian producer M.V.Wool AS,” VTA press representative Elen Kurvits said. She said that while the agency has found measures the company employs to be sufficient for ensuring product safety, an additional inspection was ordered on March 13, following information from abroad. Denmark sent Estonia a message through the European food and feed safety alerts system, according to which it has ordered a recall of M.V.Wool’s frozen smoked fish products through its Danish reseller. VTA inspectors paid a visit to M.V.Wool yesterday. “As a result of the report, the VTA has told M.V.Wool to order an additional inspection,” Kurvits said. She added that the latter might cause the watchdog to conclude the company is doing everything in its power to make sure products sent to the domestic and foreign markets are safe.